DREAM BIG has been the moniker of the QPS Foundation’s major gifts campaign for a number of years. Now, we continue the tradition through our annual campaign to garner support from our community and raise funds for public education. Tax-based funding continues to be unpredictable, resulting in gaps in the budget of the Quincy Public Schools. 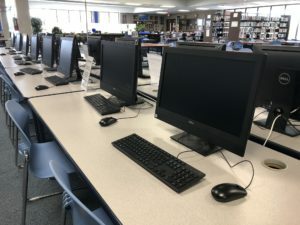 The district must continue to balance areas of staffing, maintenance, curriculum, and equipment to do the best it can with what funds are available. Promoting excellence through improved quality of education is our goal. We involve both the local community and QHS alumni in our efforts, because we believe the difference between a good school system and a great school system is private support. Please help us improve the quality of public education in Quincy! Our campaign ends December 31. We need your help to reach our goal. It’s easy! Just click the DONATE button at the top of this page. Checks may be mailed to QPS Foundation, 3322 Maine Street, Quincy, IL 62301. For more information or if you have questions, please contact Kent Embree, QPSF Executive Director, at (217) 228-7112 x101 or embreeke@qps.org.